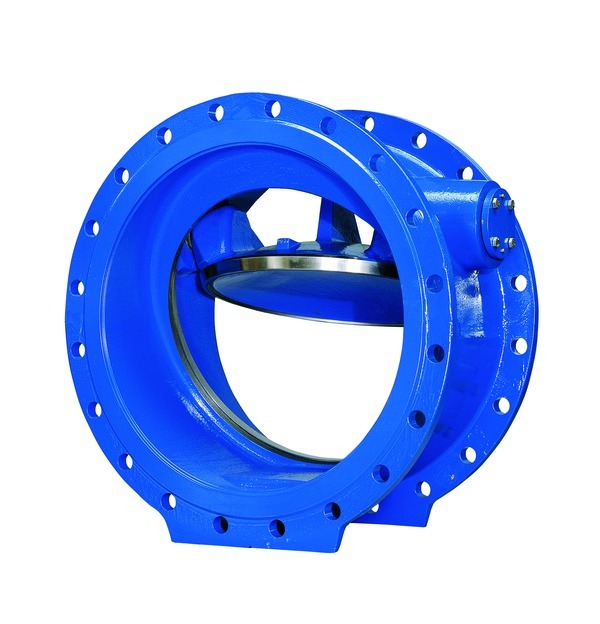 Metallic-sealing non-return valve with slanted seat for reducing the closing time and with specially shaped disk that supports the opening movement. Also available with internal damping unit for the reduction of pressure surges. The prerequisite for trouble-free operation is a minimum flow velocity of 1.5 m/s in the customer's plant. Suitable for use in water treatment applications, water distribution, in pretreated sewage, in power plants and in industry.